Students debated whether to walk up to students and say something nice, or walk out of class to honor the victims of the Florida school shooting. 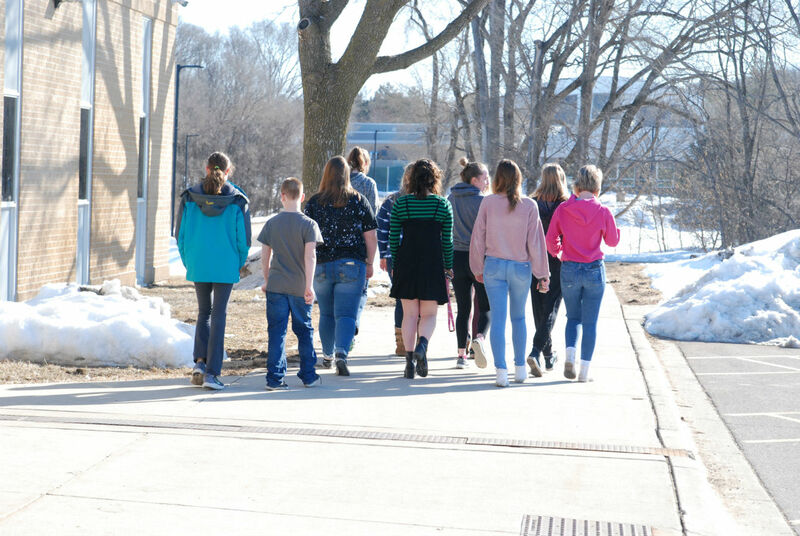 A handful of students participate in the national school walkout. On February 14, 2018, the day began as any typical Valentine’s Day. At a high school in Parkland, Florida, students went about their day; worrying if their crush would accept their flowers. Around 2:22 pm, shortly before school day had ended, the lives of the Stoneman Douglas students would be forever changed. 19-year-old Nikolas Cruz, a formerly expelled student of Stoneman Douglas High school, was charged with 17 counts of first-degree premeditated murder after he opened fire on the Florida school. With smoke grenades and a rifle in hand, the gunman entered school property and set off the fire alarms. As students and teachers, who assumed that there was another fire drill, poured out of classrooms, the sound of gunshots could be heard coming from nearby hallways. Hours after the gunman fled from the school, students and teachers continued to hide in classrooms and closets while they waited for police and authorities to arrive. Even in the state of Minnesota, which is over 1,000 miles away from Parkland, Florida, people were affected by the ninth deadliest mass shooting in modern American history. Events are organized to get people, mainly teenagers, more involved in what happens in our government. With the National School Walkout, students were able to voice their opinions. “For how much society stresses that young people are the future of our country, I feel that it’s crucial for those young people’s ideas and voices to be considered in our government today,” Bowen states. Whether people chose to walk out or to walk up, March 14 will stand as a day where the Nation came together to make an impact for future generations.